There are instances where you feel you feel lucky to have married your spouse. Other times, you may not feel quite so lucky. In fact, you may feel irritated by your spouse. One wife felt the second way. 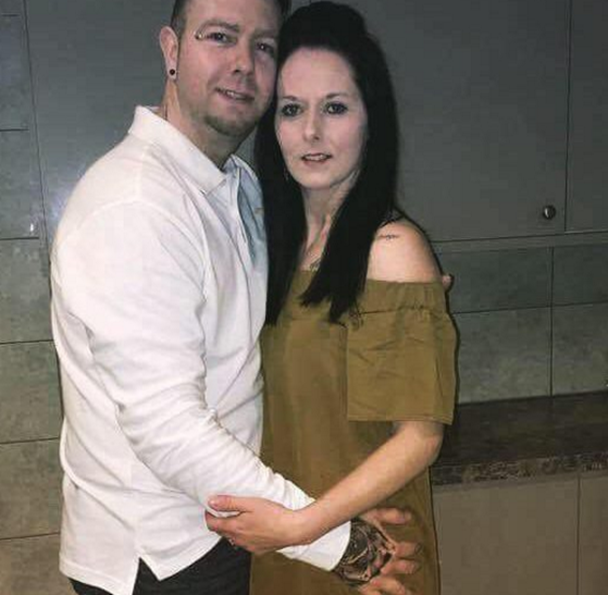 Theresa and Rob Turner have been married for quite some time. Teresa suffers from Misophonia, which is a total dislike of particular noises. For her, she despises the sound of people loudly crunching their food repeatedly. Rob said he found a video with this particular annoyance and he played it for his wife repeatedly, even after calls to stop it. He said he didn’t. 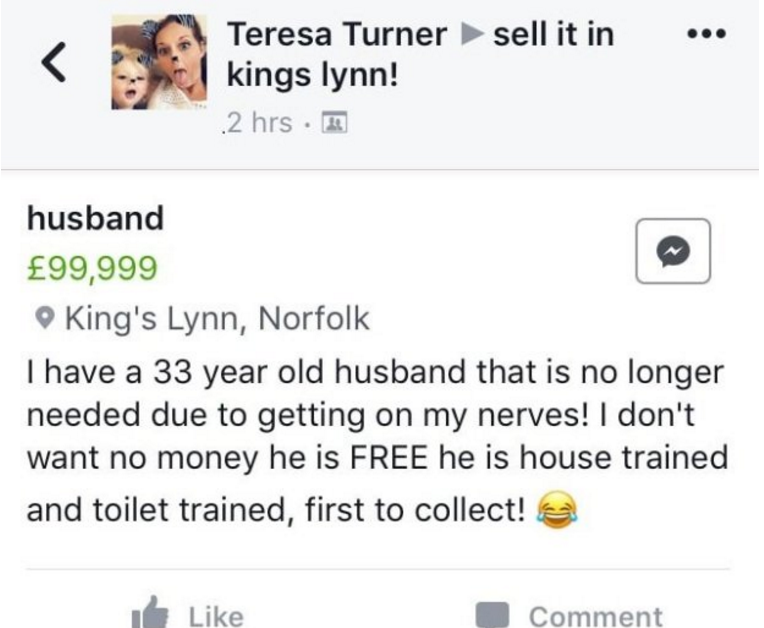 So, his wife went upstairs and made a Facebook post about his being for sale. Teresa wrote she had a 33-year-old husband for sale that she no longer needed because he was on her nerves. She wrote that he was free and housebroken to the first one to take him. Teresa plan for revenge took an unexpected turn when hundreds of single women said they’d take him off her hands. Of course, Teresa was only kidding, and she wasn’t willing to part with the annoying husband. She wrote her husband that it was funny and shared her sense of humor. The couple recently celebrated their fourth anniversary together. Rob said his wife has her own little quirks but that they get through them all together.